The goal of the case may not necessarily be to win, but to drag critics to court and bury them under a pile of litigation costs, harassment and embarrassment until they wear down and withdraw. 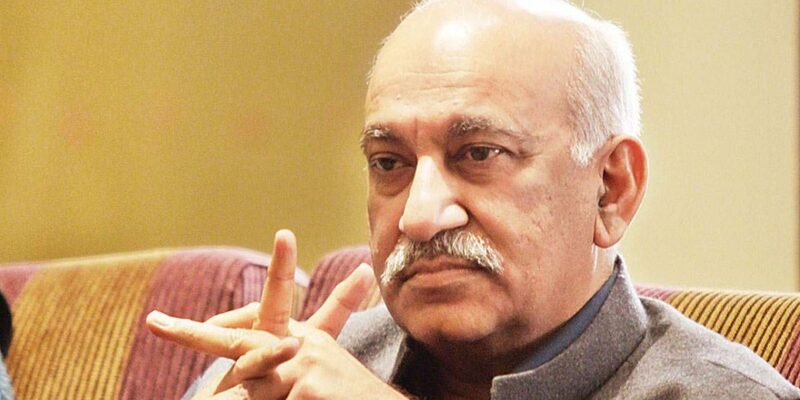 When a battery of 97 lawyers rises in defence of BJP leader M.J. Akbar against one individual – Priya Ramani – you get a sense that it is something other than the routine conduct of law. Karanjawala & Co. may go to town with their legalese saying that “it is routine practice to list as many lawyers in a vakalatmnama and that only six will appear in court”, but the fact of the matter is that this is a brute show of force. Quite like the army that marches in occupied territories to intimidate and daunt, this army of lawyers is doing pretty much the same. Akbar has opted a line of “offense as the best defence”, suing journalist Ramani for defamation. He is seeking her persecution and conviction under Sections 499 and 500 of the IPC, accusing Ramani of tarnishing his “image”, “goodwill”, “reputation” and of fabricating facts. He is using the law of criminal defamation exactly as it is meant to be used – as a legalised weapon in the hands of the rich and powerful to silence and intimidate not just critics, but also who they violate, oppress and prey upon. He hopes the courts will look for evidence and find none to implicate him. He hopes that the testimonies of 16 women will break apart into individual stories that can be silenced and broken. He hopes that the tangled web of deceit, the legalese, the process, the tareekh-pe-tareekh, the 97 lawyers, the money power, the political power, the power of power will enable him to game the system and win. He hopes that the anachronistic criminal defamation law will enable him to snuff out this tide of revulsion. The global debate on SLAPP (strategic law against public participation) suits points to a range of disturbing impacts like the threat of persecution, financial bankruptcy, trauma, shame and harassment. When the force of law is deployed by someone against women who have accused him of sexual harassment, the victims have to deal not just with their own trauma but also the prospect of persecution, trolling and financial bankruptcy. The global debate on SLAPP (strategic law against public participation) suits points to a range of disturbing impacts like the threat of persecution, financial bankruptcy, trauma, shame and harassment. We need to recall how harassed and traumatised victims of sexual predation in the past were forced to give up their fight. How a 14-year-old girl who stood up to inspector general of police S.P.S. Rathore, committed suicide; how a traumatised airhostess, Geetika Sharma, who was ruthlessly pursued by Haryana minister Gopal Kanda, ended her life; how unable to bear the relentless harassment of the police, her mother too committed suicide six months later. This is precisely the job of the defamation suit filed by Akbar. It is a legal means to achieve the kind of silence we have seen before. The goal of the criminal defamation charge may not necessarily be to actually win the lawsuit, but to drag critics to court and bury them under a pile of attorneys’ fees, litigation costs, harassment and embarrassment until they wear down and withdraw. There is often a lot of righteous bravado that accompanies standing up to power in the face of defamation suits, but we know how hard it is when a sitting chief minister of a state, Arvind Kejriwal, had to retract his allegations under the protracted burden of a defamation suit filed by his powerful detractor, finance minister Arun Jaitley. One of the oldest and most respected journals of India, the Economic and Political Weekly, succumbed to threats of a defamation suit for carrying an article on the Adanis. In addition to silencing individuals, defamation suits also inhibit public participation. Even when they are of uncertain merit, they immensely damage prospects of free journalism, criticism and speaking truth to power. The objective is not to win but to set an example, to demonstrate the use of brute power, to signal the threat that accompanies every act of messing with the powerful. Defamation suits against the sexually harassed become doubly precarious for a society that is in any case grappling with an entrenched gender divide and sexualised violence. They send out the signal that sexual violence and predation is something that the rich and powerful can get away with. The opprobrium attached to sexualised violence and coercion has taken decades of dialogue, pushback education and legislation. All of this comes to nought when the same legal process hands over a legal exit route to a serial sexual predator. Law often depends on an underlying picture of what a society should fear more, as Pratap Bhanu Mehta incisively puts it. Akbar is our tipping point. We have to decide today what is more harmful for us: A culture of sexual coercion, or the ‘loss of reputation’ of a powerful man whose behaviour so many women have come forward to speak about. In this clash of competing moralities, may the best woman win! 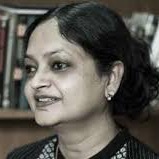 Rajshree Chandra is associate professor, Department of Political Science, Janki Devi Memorial College, Delhi University, and senior visiting fellow, Centre for Policy Research.